The Blohm und Voss BV 141 was one of the oddest airplanes ever built, as the crew was placed in a nacelle mounted beside the engine/ tailboom. The asymmetric aircraft made its first flight in February 1938, and improved versions appeared in September and November of the same year. 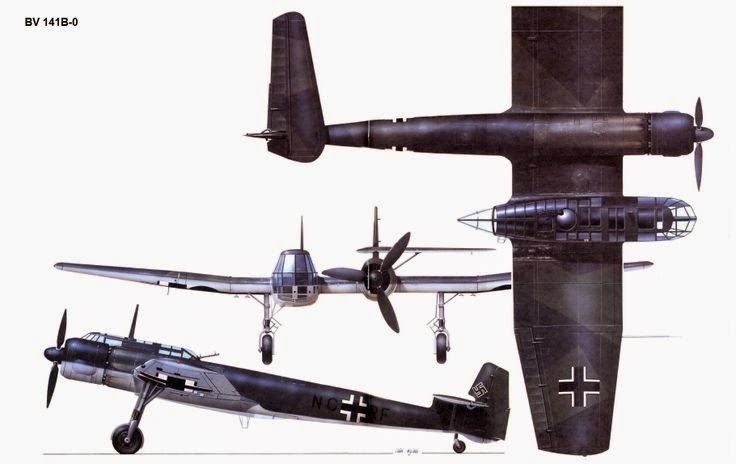 A total of thirteen Bv 141s were built, including the prototypes and the slightly different A and improved B series. The aircraft, intended for tactical reconnaissance and army cooperation, had a span of 15 m (50 ft 8 in), a length of 9.95 m (39 ft 10 in), and an empty weight of 3,167 kg (6,982 lbs). The prototypes and A series were powered by one 960- hp BMW 132N 9-cylinder radial, and the B series by one 1,560-hp BMW 801A 14-cylinder, two-row radial engine. Maximum speed was 400 km/h (248 mph) and maximum range was 1,139 km (708 miles). Armament included two fixed forward-firing 7.92-mm MG 17 machine guns, one dorsal manually aimed 7.92-mm MG 15, and one MG 15 mounted in the rear tail cone. Four 50-kg (110-lb) bombs could be carried on underwing racks. In spite of its curious asymmetrical design, the Bv 141 was a fast, easy-to-handle, good and reliable airplane. Its separated-from-the-fuselage, allglazed nacelle gave an excellent vision but there was a blind spot to the left of the cockpit. The crew included three airmen: pilot, navigator/observer, and radio-operator/machine gunner. 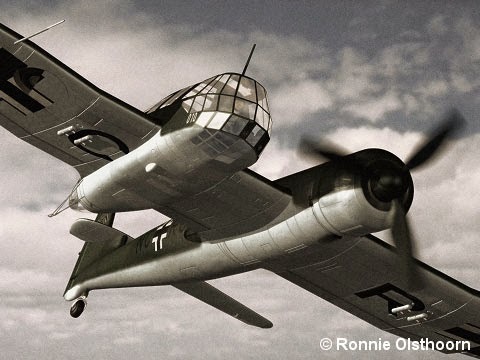 Despite the Bv 141’s bizarre look, the RLM decided the project was worth pursuing, but the program was dogged by minor technical problems, and lack of resources at Blohm & Voss. The Luftwaffe did not like the concept, on the grounds that it was underpowered. 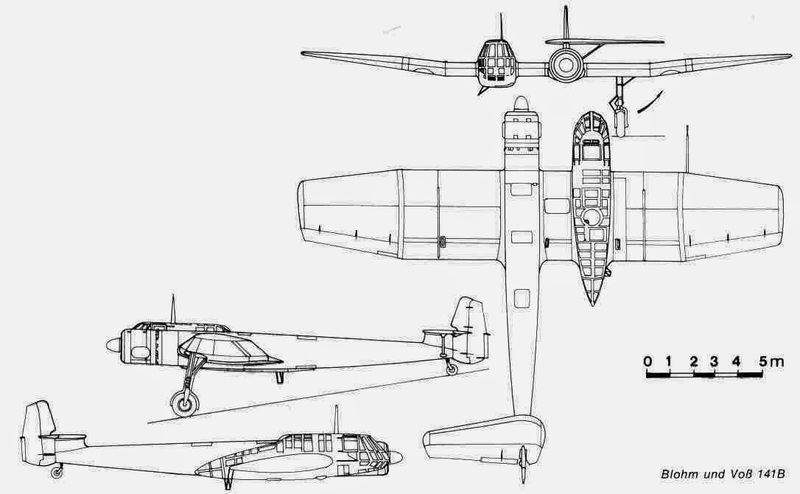 Instead, the Focke-Wulf Fw 189 was chosen as reconnaissance airplane. Nonetheless engineer Vogt and the Blohm & Voss designers never lost their enthusiasm for asymmetrical layouts as we have already seen. Crew: 3, pilot, observer and rear-gunner.